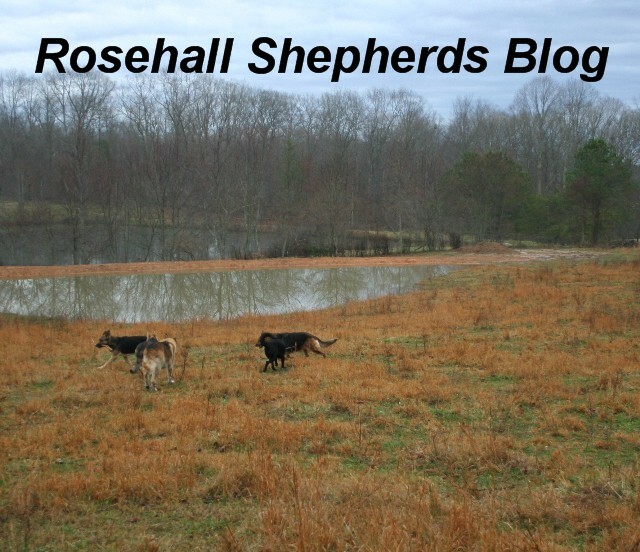 The Rosehall Shepherds blog: It is important to teach your dog a new trick! It is important to teach your dog a new trick! Thank you for stopping by! My last blog I had gone over how important it is to Socialize especially a service dog! And I also talked a little about how to approach a service dog or any other dog! Today I am going to talk about taking steps to training your dog to do cool things. And I will also be sharing a video of my service dog (in training) opening a refrigerator for me. First, I want to talk about how important it is to teach your dog new things! Just like people, dogs are always wanting to learn something new so it is up to us to teach them! As a trainer I see a huge difference daily of the difference in behavior a dog has that is able to do a lot of tricks for their human and enjoy doing them, than a dog that has nothing to do but lie around and maybe go for a walk once in a while when their human has time or is up to it! I'm going to tell you a little bit about these differences! A dog without training tends to be more rambunctious and harder to control. You'll notice that they won't listen to their owner it's usually when they choose to and normally it's only for treats. They will tend to be more on the aggressive side with other dogs and possibly people. Dogs with no training will be a handful for the owner no doubt unless you just happen to get a naturally well behaved dog which is very rare! A dog with training will be able to control their energy. The owner will be able to ask them to do something without bribing their dog with treats. You will notice they are more confident and friendlier with people and dogs. The owner can handle them with ease and worry free knowing that the dog will listen to them no matter what! As a trainer, I tell people all the time how important it is to exercise your dog daily. There are a lot of benefits for you and your dog when they are exercised frequently a few of them are: 1. They will be able to pay attention to you better, you will be able to train easier after a good walk. 2. It stimulates their mind because they are constantly seeing and hearing new sights and sounds. 3. It helps build their confidence. When you have a tired dog you have a happy dog which means a happy owner and not only is your dog getting the exercise you end up happier because you are getting exercise as well! Taking your dog for daily walks also helps you build a strong relationship that will last a lifetime! There are a couple of ways to train your dog a new trick the first one is the luring method. This means taking a treat putting it to your dogs nose and using it to put your dog in a position you want such as sit or lay down. Once your dog is in the position you lured him/her into you can reward him/her with the treat and then do it again and again once they start doing the position easier you can start putting the name to it. If they can do it 10 out of 10 times then they know that command but it's important to practice it everyday with them otherwise they may forget after a while! The next is capturing a method I like to use for tricks such as bow, speak, sit pretty and so on. For example: Bow, when I trained my dog Max to bow first I took something that he does naturally on a day to day bases (Stretching) every time he would stretch out I would praise him for that behavior and reward him. Then the next time and I would do it again it didn't take him but 5 min to figure out that him stretching was getting him rewarded so he started doing it without me asking him. So that was when I added the word bow to that motion. So now when I tell him to bow all he has to do it was he does everyday on his own and it's a fun command to show off to your friends and family! :) But remember he/she only gets a reward when they do it on command and not on their own! Today I am posting a video of the beginning stages of Emery learning how to open a refrigerator door. And I have used both methods that I talked about above to teach her how to do this. So make sure you click on the link and check it out! Well that is all for today. I hope you enjoy this blog and learned something new from it! If you have any questions about your fur babies or just need some advice your more then welcome to email me at ceceskoolk9@gmail.com and I will do my best to get back to you promptly to answer any questions you may have. Have a great day and I will see you next time.